The First Amazon Great Indian Sale For 2018 Is Here! The first Amazon Great Indian Sale for 2018 is promising some good deals on smartphones and accessories along with cashback offers, no-cost EMIs and exchange offers. Amazon India is all ready for the very first 2018 edition of their flagship Great Indian Sale. The e-commerce major has recently announced their next big sale, which starts on 21st January. The latest Amazon Great Indian Sale will come with big discounts on a wide selection of products ranging from smartphones to TVs and home appliances. The sale will have top deals on smartphones from the majority of top smartphone manufacturers. The Amazon Great Indian Sale will officially start at midnight on 21st January and will go on until 24th January. But, Prime Members will get an early access to a huge range of deals 12 hours early, starting at 12:00 PM on 20th January. Along with top deals, there will be extra cashback and no-cost EMI options with convenient exchange offers, so customers get the best prices possible. Amazon has promised up to 35% discount on a wide range of smartphones along with extra cashback on an exchange. Users can grab an additional 10% discount with HDFC Bank debit and credit cards. Additionally, if you use Amazon Pay to make payments, you can get an additional 10% cashback up to Rs. 200/-, on a minimum purchase of Rs. 250/-. Amazon India has confirmed that there will be no-cost EMI options with exchange offers on products such as smartphones, televisions and home appliances. 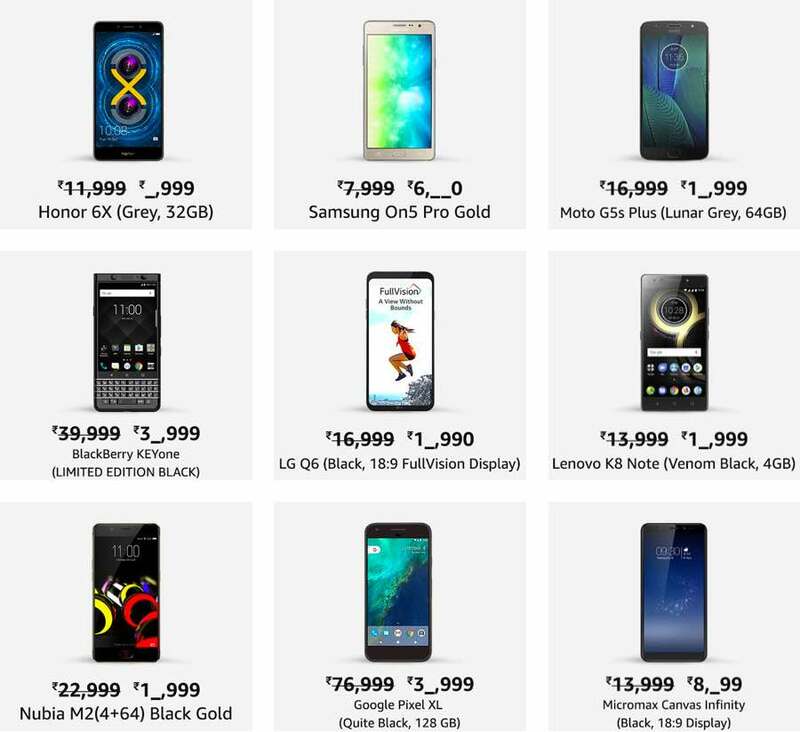 Though Amazon hasn’t revealed the prices yet, there will be deals available on a wide range of smartphones which include the ones listed below. Amazon India will also offer special discounts on Amazon products like Kindle Paperwhite, Kindle Paperwhite Starter Pack, Fire TV Stick and eBooks. The e-commerce giant has promised deals on over 160 million products across ‘hundreds of categories’. Amazon India will offer discounts on a wide range of products from multiple international brands which also include the following ones. Amazon India has created over 6,500 temporary jobs for their upcoming Great Indian Sale which kicks off on 21st January and will continue until 24th January this year. More than 5,500 seasonal positions have been created across Amazon’s India network in their fulfilment centres, sorting centres and delivery stations. Another 1,000 associates have been added to Amazon’s customer service sites to assist customers and cope with the higher customer demand expected during the sale period. The positions have been created in Hyderabad, Bangalore and service partner stations across the country. At present Amazon India has 41 fulfillment centres (warehouses), 25 sorting centres, around 150 delivery stations and 350 service partner stations across India. Amazon India has 13 customer service sites across 12 cities and the US-based ecommerce giant has committed an investment of over $5 billion in the Indian market to compete with market leader Flipkart.